"My dad was inspired by you." 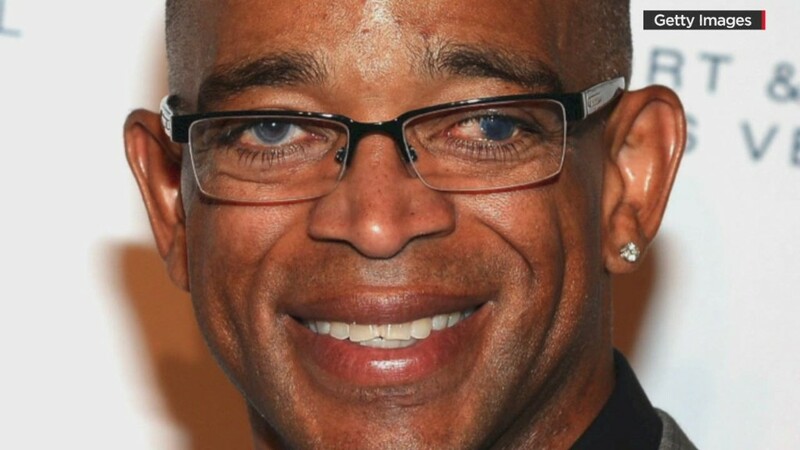 That's the last text message Mark Gross sent to Stuart Scott, the legendary ESPN broadcaster. Gross, a senior vice president at ESPN, was Scott's main point of contact in recent years, as Scott endured surgeries, chemotherapy regimens and drugs to stop the cancer from spreading throughout his body. Gross's father had cancer, too, so Gross and Scott had compared notes about treatment plans and the ensuing highs and lows. This time last week, Gross's father passed away; as soon as Scott heard, he sent condolences, despite his own dire situation. Gross's reply reflected the widespread respect and appreciation for Scott's very public health battle. "My dad was a huge sports fan," Gross recalled. "He couldn't believe that Stuart was traveling all over the place and on the air and doing this and doing that." Scott was first diagnosed with cancer in 2007. By his colleagues' accounts, he worked as hard and as often as he could in the years since, through multiple recurrences of the disease. On Sunday morning he passed away, spurring an outpouring of grief among ESPN employees, counterparts at other networks, and fans across the country. "The amount of pain that Stuart went through, you know, over the last year or so, was just horrendous. It hurts to even think about the pain that he was in," Gross said in an interview on Monday. "But he was, there were times he was in some incredibly rough shape but wanted to keep moving. Wanted to be on TV. Wanted to do his job. Wanted to be around his friends at work." Scott joined ESPN in 1993. "Immediately, we realized this guy was a little bit different," Gross said. "That he had a flair and a personality unlike anything we'd ever seen here, to be honest with you. So it took some time for a lot of people to get used to it -- and become accepting to it -- but once everybody was on board and on the same page, people realized that he was a special talent." "Whether it was his energy; catch-phrases; his overall style; the way he dressed... He really was a trail-blazer, in that he was taking us to places, and taking our viewers to places, that they'd never really been before." Gross called him "a great company guy" someone who "was always there." As Scott's health deteriorated, the two men stayed in touch mostly via text messaging: "How are you feeling?" "What are you feeling up to doing?" "Do you need anything?" What turned out to be his final appearance on the flagship newscast "SportsCenter" was in June, when ESPN introduced a futuristic new studio for the show. His final time on television was at the ESPYs awards show in July, when he delivered a now-famous speech about life amid a cancer diagnosis. "When you die, it does not mean you lose to cancer," Scott said. "You beat cancer by how you live, why you live, and in the manner in which you live." Shortly after that speech, Gross and a small number of colleagues began to produce an obituary -- something that, as Sports Illustrated's Richard Deitsch put it, "they hoped would never air." ESPN did not inform Scott, because, Gross said, his agent Jackie Harris "just thought it would not be the right thing to do." In early September, Gross and Scott spoke about the possibility of Scott appearing on the network's first "Monday Night Football" telecast of the season. But Scott's condition was worsening, and "he just did not feel up to going," Gross said. The message he relayed to Scott was: "Whenever you're ready to go, the seat will be there." On Sunday night, "SportsCenter" paid homage to Scott by leaving an empty chair on the set.